The hot, dry desert breeze flows through open windows into the adobe home of Father Spellacy at the Santa Isabella Mission on the edge of the Mojave Desert. The priest pulls to the side torn, grey curtains to contemplate the scene outside: a graveyard with ancient wooden headboards and a looming concrete angel missing an arm, shaded by an immense cottonwood tree scared by lightening. Half the buttons are missing on the Jesuit style cassock, black cloth faded by sun into grey patina. This is the opening and closing scene to the 1981 film crime drama True Confessions. 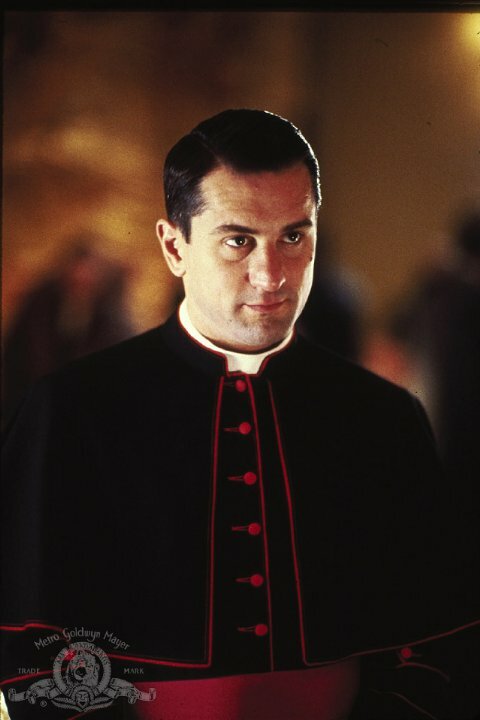 In the Los Angeles of the late 1940s, Father Desmond Spellacy (Robert De Niro) was a rising ecclesiastical star and the favorite of Cardinal Danaher. He had a natural talent handling and resolving difficult church projects. His heart was set on success in the church. He was a monsignor, a papal honor, one step toward becoming a bishop. Yes, business and church ethics had been compromised to get things done, but he had to focus on the “big picture.” His brother Tom (Robert Duvall) was a nose to the ground detective, who had an old fashioned, tenacious commitment to justice and some of the naïve piety that his priest brother had lost. The gritty film focuses on the brutal murder of a young woman. The personal missions of each brother, one for justice and the other for success within Mother Church, collide and the priest must decide: further advancement into the power and glory of the Church and more moral compromises or siding with his brother against evil. 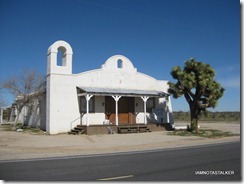 As the last scene of the movie returns to the desert church, the priest has made his choice. He collaborated with his brother, leading to the arrest of the murderer, a key benefactor of the Church. Father Spellacy was relocated to the outer realm of the diocese, the same desert outpost where his previous pastor had been exiled. His hair is grey and he has terminal cardiovascular disease. He gazes out the window to see where he too will be buried. However, there is peace and serenity in his face and joy at being with his beloved brother again. Was this relocation by the Cardinal punishment and penance for the priest, or was it a spiritual homecoming? My first bishop, Robert C. Rusack, who ordained me as priest in 1971, was the last of the prince bishops in the Episcopal Church. He came from a middle class New England family, married a wealthy heiress and was chosen Suffragan (Assistant Bishop) in the Diocese of Los Angeles at a young age. He was ambitious and had the drive to become The Bishop. He had a careful strategy of cultivating close ties with all the clergy, writing endless thank-you notes for everything. This high contact effort did result in his election as Bishop of Los Angeles on the first ballot. He could be a stern, difficult, distant father figure to us clergy. He dearly loved the Catholic liturgy, “smells and bells.” He was a wonderful teacher and pastor. I remember the day he surprised all of us when, in a sermon at a clergy retreat, he said his favorite movie was True Confessions. He saw it several times and said he always wept, not something a New Englander easily confesses. I am guessing that his love for this film was because he recognized his own driven ambition for success in the church, and maybe some compromises he himself had made, “things done and left undone”, in light of the cinematic drama. Maybe he too gazed out the window with Robert De Nero into the vast desert landscape and the little cemetery and saw his own mortality and the futility of all human projects. His work was his life and he also died of cardiovascular disease, a heart attack at dinner at home. He was beloved by all the laity and clergy of the diocese. For some, the desert is a place of danger and deprivation. For some it is the place of purgation and penance, where one wrestles with temptations and evil spirits, within and without. That scene at the window in the priest’s home on the edge of the desert has haunted me every since I first viewed True Confessions. The consistent visceral feeling has been: I am home in the desert. This is where God touches my heart with grace and love. Looking back on forty-three years as a priest in the Church, I had many ambitious dreams of bigger and better: pastor at Beverly Hills, CA and Bishop of Massachusetts. At a goal-setting workshop, my Five Year Plan was to move on from the parish and programs I had developed in the Logan Barrio of Santa Ana, CA. My dream was to be pastor of an affluent parish with a large staff and financial stability, which I rationalized, could give me resources for more ministries “to help people.” I worked on the plan for ten years and it almost happened. In some cases, a better choice was made; in other cases, our son Erik had a health crises and I had to pull back. I ended up remaining at the Santa Ana parish for thirty years and I thank God for that every day. Walking with Jesus in the desert was my salvation from the temptations of building an empire on success. I had in my mind that I could arrive at some professional state, where I did not have to wake up at 3 a.m. worrying about where I was going to find the money to keep the early childhood center for very poor children open. It was up to me to find that money and the funding crises always happened during my vacation. I saw the faces of the children and the anxiety of the mothers: what was I to do? If only I could arrive at that more secure place, that creative space, where I did not have to firefight all those sudden urgencies that flare up in desperate urban ministry. Every day was a battle. The desert helped me to see the dangers of that temptation. Like the Hebrews in their desert exile who had to be dependent on God for daily survival, I was driving on vapors, desperate for God’s daily grace to get through this situation, solve that problem. I already had what I needed: many visitations of God’s Amazing Grace. Our spiritual pioneer leading us into the desert is Jesus. Christians believe that he is the fully human and divine son of the living God, the God of the prophet Abraham. I imagine that Jesus slowly grew in awareness of his son of God identity. Perhaps he had some kind of amnesia and struggled to make sense of his deep longing for connection with Abba/Father/God. It was his own time in the desert that sparked into full flame awareness of his true self. In a presentation on this passage and Jesus’ temptation in the desert, Fr. Henri Nouwen helped me see that Jesus was wrestling with his True Self in that desert. When he refused to turn stones into bread, he did not choose the lie that “I am only what I do.” He did not jump off the pinnacle of the Temple to choose, “I am what people say about me.” He turned his back on honoring Satan and choosing possessions. He would not say, “I am what I have.” In the desert Jesus encountered God’s loving presence and his True Self as the Beloved One. Perhaps you will meet the same temptations I encounter every time I first walk alone in silence and solitude in my desert journeys. The busy mind begins to quiet as I take in the stark, vast wildness of that place. The only sound is usually the wind rustling sagebrush and creosote and the crunching desert sand under my hiking boots. Very soon, the voice creeps up on me: memories bubble up from the distant past: people I have hurt in some way. Like a cold slap in the face, I often cry aloud: “I am so stupid, how could I do that to him/her?” Over many years, the voice still speaks, grabs, and shakes me; very hard to escape its grasp. When that presence tries to possess me, I ask Jesus to walk close with me and eventually another part of my consciousness opens to other memories: memories of how Grace and blessings came in desperate times: Erik in the hospital, struggles in our marriage, and awaking after six hours of surgery to debilitating pain. Those memories of being at the end of my resources opened to remembrance of how God came to me again and again, how hope, peace, joy and love slowly seeped into the cracks and empty spaces; demons of painful memories and sin gave way to angels of mercy and gratitude. Every time I go out there, expecting nothing, the desert’s gift over miles and hours of walking has been the sparking into life of memories of deep gratitude and that I am also God’s beloved. I have invited you to walk with me and the great sages of holy wisdom into the spiritual crucible of the desert. I understand that there are other places where we encounter the Holy. There is truth that wherever we are, as my son Erik teaches me, we are home and God is there. But there is still something about this desert. “The desert, as we know, is the place where, stripped of all that normally nourishes and supports us, we are exposed to chaos, raw fear, and demons of every kind. In the desert we are exposed, body and soul, made vulnerable to be overwhelmed by chaos and temptations of every kind. But, precisely because we are so stripped of everything we normally rely on, this is also a privileged moment for grace. Why? Because all the defense mechanisms, support systems, and distractions that we normally surround ourselves with so as to keep chaos and fear at bay work at the same time to keep much of God’s grace at bay. What we use to buoy us upwards off both chaos and grace, demons and the divine alike. Conversely, when we are helpless we are open. That is why the desert is both the place of chaos and the place of God’s closeness. It is no accident that Dorothy Day and Martin Luther King felt God’s presence so unmistakably just at that point in their lives where they had lost everything that could support them. They were in the desert. Scripture assures us that it is there that God can send angels to minister to us.” The Desert: the Place of God’s Closeness”, Blog, 2000.04.02. I am standing with Father Spellacy as we gaze through the window out into the desert. A dust devil twists and swirls, zig-zaging through the cemetery outside, fading into nothingness. We know that we are God’s beloved and we are home. The Lives of the Desert Fathers: The Historia Monachorum in Aegypto, Translated by Norman Russell, Introduction by Benedicta Ward SLG (London: Cistercian Publications 1980. The Word in the Desert: Scripture and the Quest for Holiness in Early Christian Monasticism, by Douglas Burton-Christie (Oxford: Oxford University Press, 1993). A Pelican in the Wilderness: Hermits, Solitaries and Recluses, by Isabel Colegate (Berkeley: Counterpoint, 2002). This entry was posted in Blog and tagged Desert Fathers, desert spirituality, Henri Nouwen, Lent, Robert De Nero, temptation, True Confessions, True Self. Bookmark the permalink. Most excellent Brad! I can completely relate to this one living out here in the Mojave as I do! I even had a dust devil out of nowhere sweep right through me on one of my spirit walks! The bluff where it happened I now call ‘Liberty Bluff’ ! I’m going to have to watch that movie now! Thank you! Your writings are so inspirational! Thank you for the opportunity to experience your writings, and vicariously a time in the desert. An excellent essay. Very helpful. Reblogged this on Professorjane's Blog.